In 2019, Churches for Middle East Peace (CMEP) celebrates its 35th anniversary of encouraging US policies that actively promote a comprehensive resolution to conflicts in the Middle East. 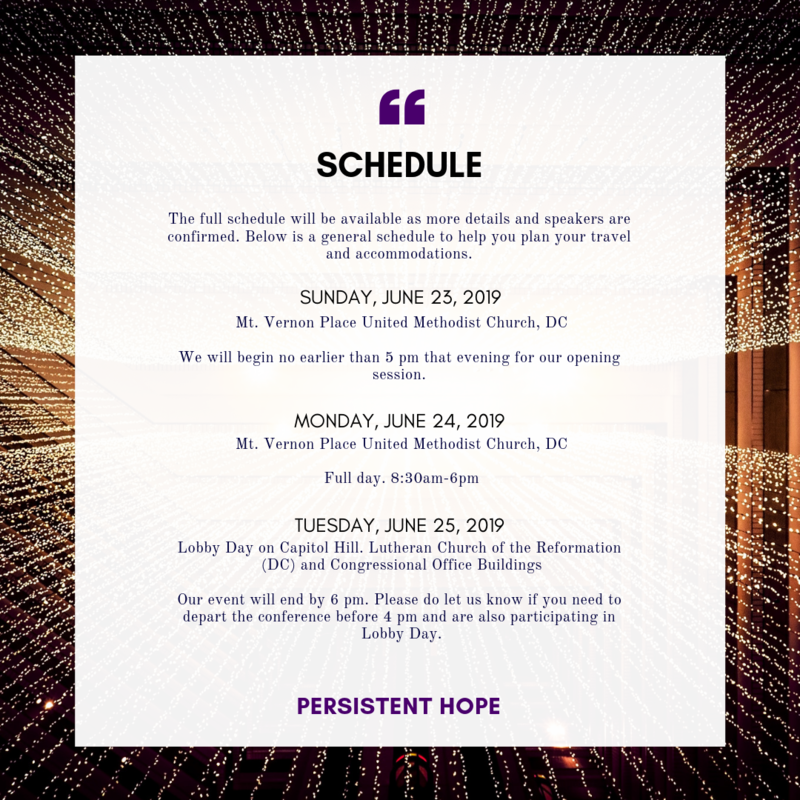 Join us June 23-25, 2019 in Washington, D.C., as we honor the occasion and look to the future. In honor of 35 years, our 2019 Advocacy Summit will look back at everything CMEP has accomplished over the past three-and-a-half decades, as well as what our work will look like going forward and the opportunities to work for peace and justice that will come. As we’ve worked to mobilize US Christians to be advocates for equality, human rights, security, and justice for all people, our hope has never faded. We believe the work we do as advocates for equality, human rights, security, and justice with our member denominations and connections has and will continue to influence US foreign policy and bend the arc of history towards justice and stability in the Middle East. Over the past decades, CMEP has been a leading force in elevating the voices of Middle East Christians on Capitol Hill and around the United States. CMEP has mobilized thousands of individuals to embrace a more holistic understanding of the Israeli/Palestinian conflict and call for an end to violence in the Middle East. In addition to contributing to the shift of U.S. perspectives, CMEP has hosted dozens of conferences and advocacy summits calling on U.S. Administrations and Congress to embrace policies that address humanitarian and human rights concerns in Israel, the occupied Palestinian territories, Syria, Yemen, Egypt, and other parts of the Arab world. CMEP is a growing force to be reckoned with that embraces an impassioned call for justice and peace for all people of the Middle East. We will continue to diligently work to end the occupation of the Palestinian people and to work toward a just peace throughout the Middle East. Hope remains an act of resistance and defiance. Join us as we celebrate and strategize for how to best carry out this work in the future! Come be part of our Advocacy Summit and celebrate Persistent Hope!